Michael Zulli is an American artist known for his work as an animal and wildlife illustrator and as a comic book illustrator. He’s gotten great acclaim for his work on The Sandman with writer Neil Gaiman and has been a longtime collaborator with the author. Zulli’s work is characterized by detailed realism, a delicate, painterly touch, and a hint of the Pre-Raphaelites. Michael Zulli is an artist best known for his comic book and graphic novel illustrations. However, he has also enjoyed a career that spans well beyond the comic industry. He began his love of art at an early age claiming to have started “about the time I could hold a crayon or pencil, say four or five years old I started making pictures with purpose. I was born this way; I can’t help it.” He later started creating art as both a desire and career at the age of fifteen. He is also completely self-taught with no formal fine arts training except a few community college courses in the 1970s. Zulli’s influences include: the painters of old Roman Catholic holy cards, Titian, Gustave Doré, William Blake, Dante Gabriel Rossetti, James McNeill Whistler, Jack Kirby, Sean Cheetham and Jason Shawn Alexander. Movements and styles like the Pre-Raphaelites, the tonalism of Whistler and his contemporaries and the more modern urban realism in comics storytelling have also captured his attention. He’s worked with a wide array of media in creating his works including: graphite, ink, pastel, watercolor, acrylics, oils, or as he puts it, “just about anything that can make a mark really.” His first professional sale of artwork was a small landscape painting he sold to a grocery store in Vermont. Zulli made the decision to enter the comics world after seeing the publication The Adventures of Luther Arkwright and Barry Windsor-Smith’s The Beguiling. His comic book career began in earnest in October 1986 with the comic book The Puma Blues collaborating with writer Steven Murphy. The monthly title was published by Dave Sim’s Aardvark One International and later by Mirage Studios. Zulli’s illustrations of the characters, wildlife and natural landscapes in the polluted post-industrial environment of the story’s not-too-distant future offered eye-opening line art that displayed a level of representational detail well beyond what had usually come out of comics. The ecological warnings of the series put forward an argument for natural conservation and against the abuse and pollution of the natural environment. The series went on for 23 issues and a mini-comic half issue, ending in 1989. Later Zulli went on to illustrate stories for the Mirage Studios characters the Teenage Mutant Ninja Turtles and some stories in artist Stephen R. Bissette’s anthology publication Taboo put out by Bissette’s publishing company Spiderbaby Grafix. He drew a somewhat infamous, never-published issue of DC Comic’s Saga of the Swamp Thing in which the title character meets Jesus Christ. 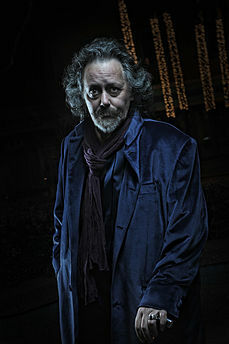 According to Zulli “the Swamp Thing issue was basically pulled due to the current climate of unrest surrounding the satanic verses by Rushdie.” A few years later in the 1990s another unfinished and unpublished story, Sweeney Todd, written by Neil Gaiman and illustrated by Zulli for Bissette’s Taboo anthology was stopped when the anthology itself was discontinued. By this time Zulli had gotten the attention of many writers, editors and artists in the comics industry. In 1990 he guest pencilled issue 13 of DC Comic’s nascent Vertigo series The Sandman written by Neil Gaiman. Zulli would go on to illustrate seven Sandman issues including the final Sandman story arc “The Wake” as well as several other projects written by Gaiman. He’s credited with co-creating the character of Hob Gadling from the Sandman series with Gaiman. He illustrated part of the final Sandman storyline called The Wake. After The Sandman series ended, he had a gallery show called “Visions of the Wake” in New York City. He also began illustrating for several newer Vertigo imprint titles including Winter’s Edge, Witchcraft: La Terreur and Sandman Presents: Love Street.